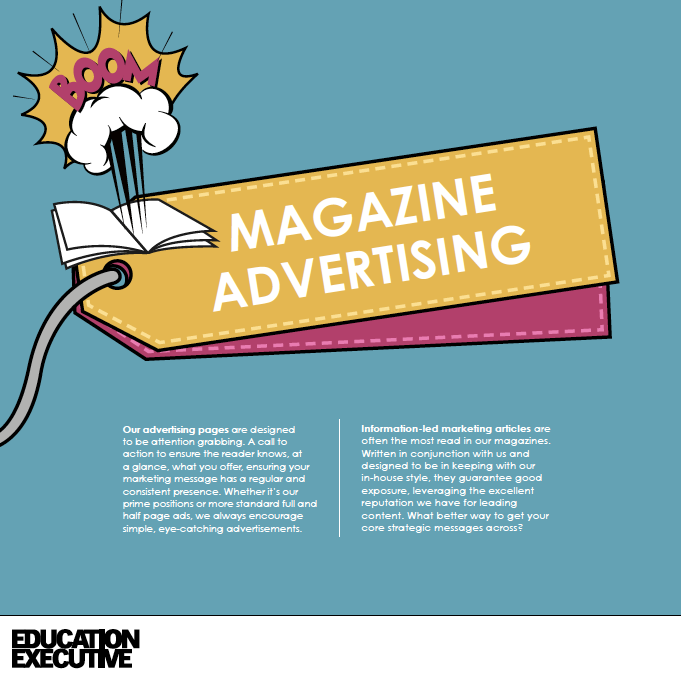 Education Executive – or EdExec – is a monthly print magazine, a daily website and weekly email newsletter, that focuses on the business and financial management of Britain’s schools and academies. You can view detailed information about how we work, what makes us different, our publishing model and, of course our all important marketing options, below. In a hurry? Want information in a fast? Look no further. We have a great formula - we've broken it down into tasty bite-size pieces here. Our approach to your marketing. We’re a forward thinking, solutions led company, offering much more than just a space on a page. Who do you think you’re talking to!? Find out here. Your quick guide to the School Business Manager. Money talks: Learn all about the latest spending and budget planning in schools. High Impact and off the page advertising, to thought leadership and sponsored activity, you'll find it all here. From website banners, to email campaigns - sponsored blogs to twitter syndication, read on to learn more. All our rates, in one place.